Recently, Apple brought Samsung to court in the US alleging patent infringement and it ruled in its favor. After the loss abroad, Samsung experienced another loss on home turf - this time in a suit the Korean company itself has filed. Filed in late 2011, the lawsuit alleged Apple had infringed on Samsung patents related to SMS display and grouping methods. Samsung was seeking a sales ban for the iPhone 4S, iPad 2 and even the iPhone 5, which at that time was a year away from announcement. 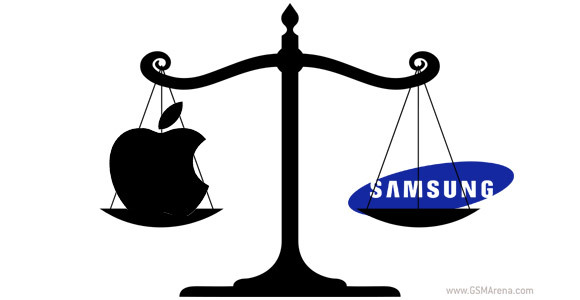 Although the court sided with Apple, Samsung has stated that it will review the ruling before committing to an appeal. "As Apple has continued to infringe our patented mobile technologies, we will continue to take the measures necessary to protect our intellectual property rights," said Samsung. Apple, of course, sees it differently: "We are glad the Korean court joined others around the world in standing up for real innovation and rejecting Samsung's ridiculous claims," said Steve Park, spokesman for Apple Korea. The same Korean court made a ruling earlier this year that went Samsung's way and Apple was ordered to pay 40 million won ($38,000) for infringing on wireless patents. In the same ruling Samsung was found guilty of infringement too (for the bounce back patent) and was hit with a 25 million won ($24,000). Those sums are tiny, of course, but Samsung was after an import ban, which would have been a lot harder to swallow for Apple.